Every year at Grey Fox I find a Tumblr utility player called City of Rachels. In 2012 I thought it was be a good idea to have my own Tumblr account. I thought I’d add a Flickr photo every day and make millions on google ads. That didn’t happen, and google soon removed user ads from the site in general. 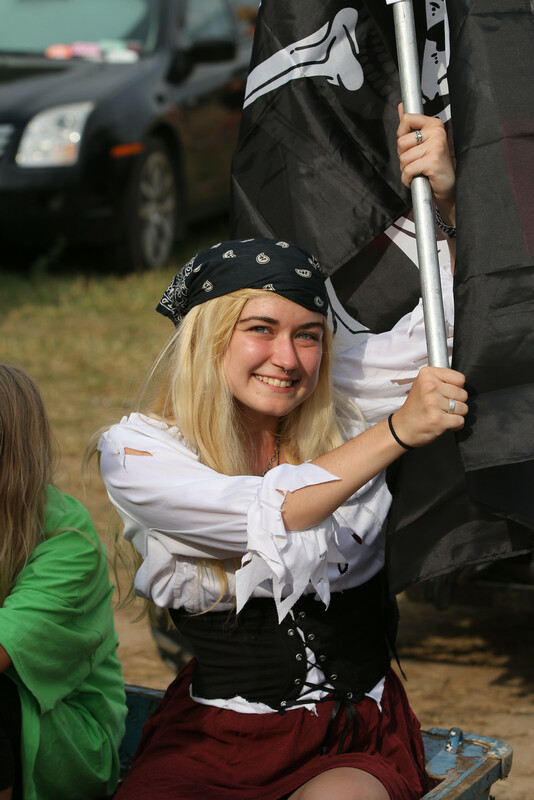 In 2013 I took a mediocre picture of a young women with a pirate eye-patch who scowled at my camera. I posted it to my Tumblr account a few months later and City of Rachels found it, and re-tumblr-blogged it. We had a small interaction about how wonderful Grey Fox was, and went our separate Internet ways. The next year I saw her photo in my collection again. I don’t remember taking the photo, but photographic evidence suggests I did. I again posted it, but this time I let City of Rachels know it was there. This small, albeit weird, interaction continued for a few more years. I learned that she seemed to have a lot of odd jobs around the farm. 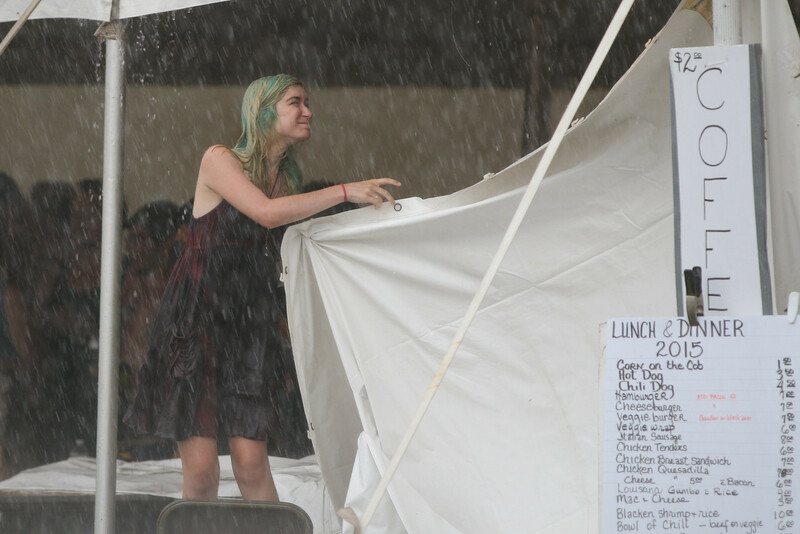 She helped to set up fences before the festival began, and helped lift up tarps as the rains came down over the Hillbenders in 2015. 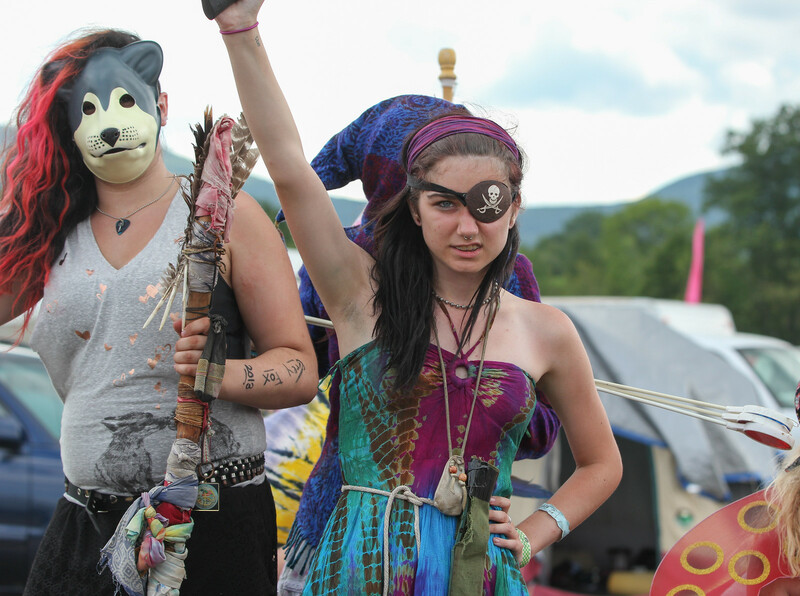 Based on the plurality of her Tumblr username there may be more than one of her. In 2017 I saw her walking on the main field and stopped and introduced myself. If she didn’t recall these yearly interactions she did a good job at pretending and faking enough interest for a 3 minute chat. We took a posed picture that year. 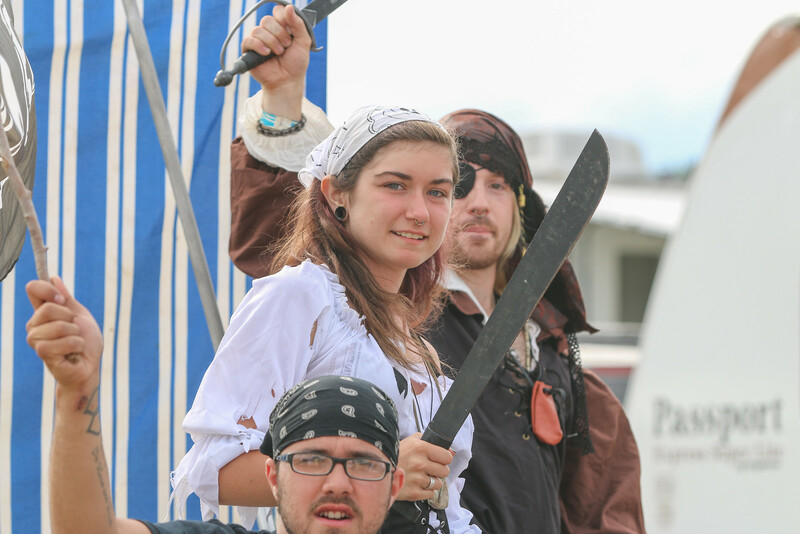 In 2018 she wasn’t a pirate. 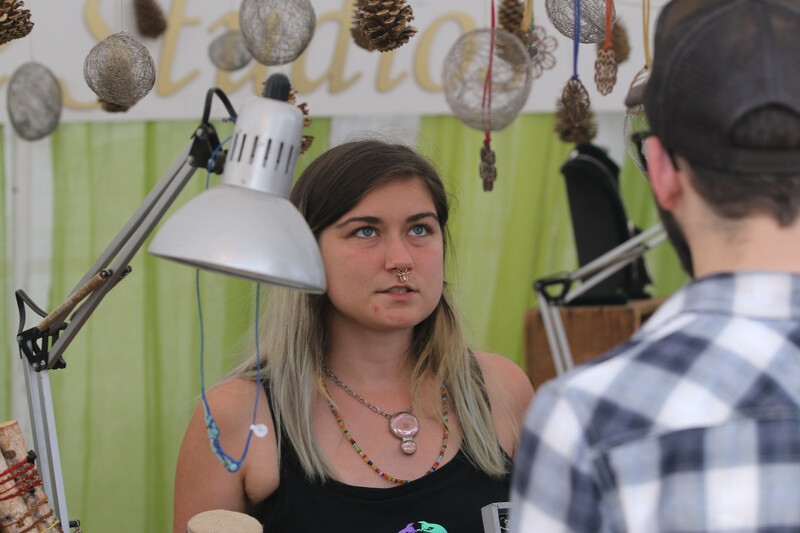 She was working at one of the jewelry vendors and I snapped a quick shot to keep the collection up to date.